There’s more to “Traditional” Ireland than leprechauns and Riverdance! The Irish Party, organised at General Humbert’s Pub by FAC de DROIT Law School & FLLASH students, will give you a sense of the REAL old Ireland. 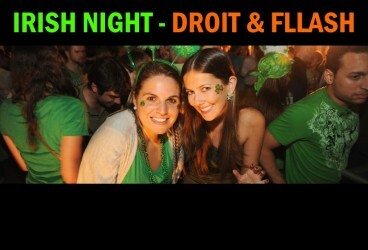 Law School & Fllash students will welcome you to this uniquely Irish night of fun, music and dance! It’s IRISH party time!!! So, dress up in your best Irish attire, and head to General Humbert’s for this fantastic party! Whether you’re a student looking for a genuine taste of old Ireland, or a native who’s feeling a bit nostalgic, the Irish Party promises a night of music, drink, dancing and of course, all-round great craic! A night in partnership with O’Hara’s IPA & Magners Irish Cider. Special Promos & giveaways all night!!! Thursday 15th March 10.00pm / 03.00am.